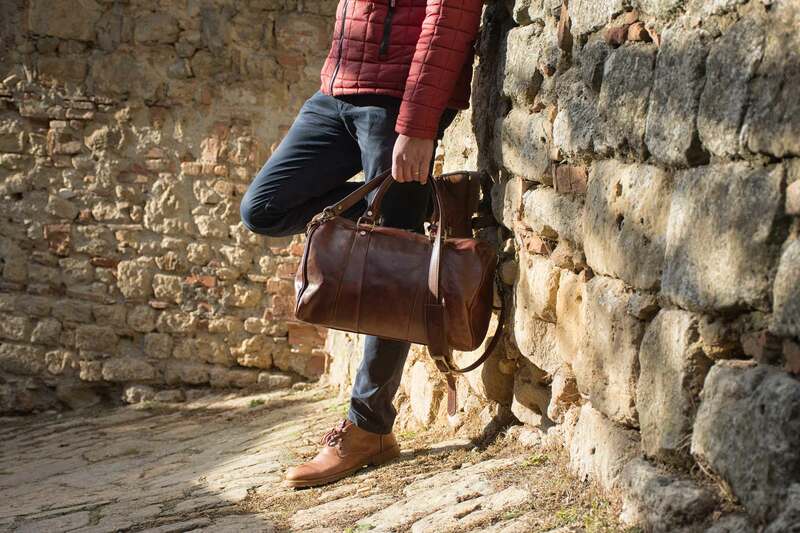 Made in Italy with vegetable-tanned full grain leather and handmade polished according to the tradition of Tuscan artisans. 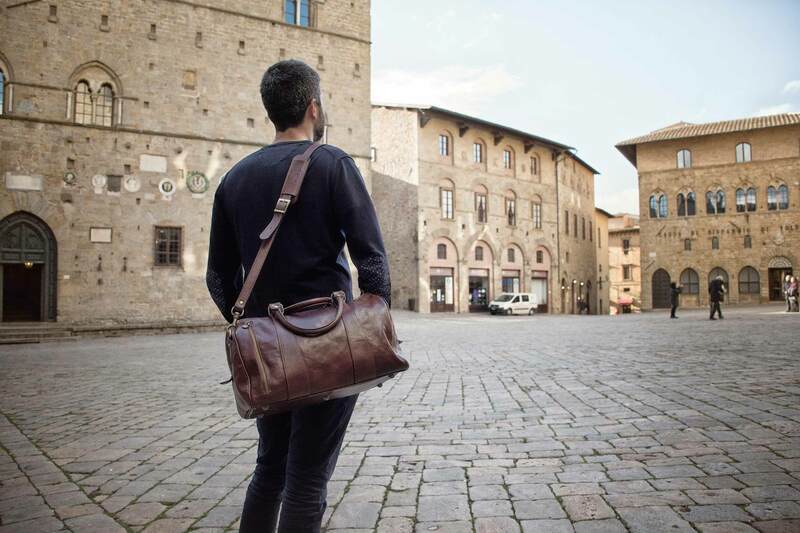 Michelangelo is a travel bag that makes you dream. This object is perfect for traveling: it's ideal for a long weekend in the city to admire the monuments and works of art or in the country to breathe clean air. 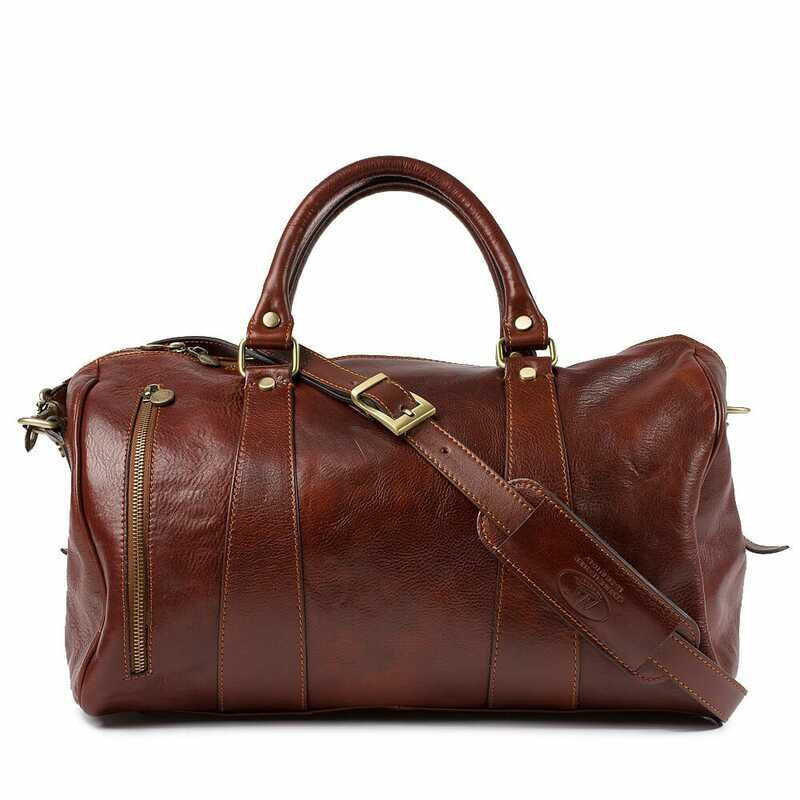 This precious model has an essential and soft line, characterized by a brass-colored zippered pocket on the front. The beauty is combined with practicality, guaranteed by the multi-function pockets. A bag to have.